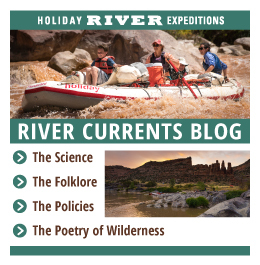 Deposit requirements: $300.00 per person for multi-day trips, $200.00 per person for Westwater Canyon 2 & 3 day trips, Full payment for 1-day Westwater trips. Why should I consider Trip cancellation and evacuation insurance? You will receive a link to get a quote for the trip cancellation and evacuation insurance through Travel Guard in your confirmation email. We strongly encourage you to consider the coverage as evacuation costs can easily reach $10,000. Please list all names and ages in the party you are confirming. This deposit will hold your reservation subject to availability. We will make final confirmation of your trip by phone or email within 24 hours of a regular business day. Once your deposit has been placed we will mail out your confirmation packet with your trip details, a Gear & Clothing Checklist, Guest Data Form and Risk Agreement. Please be sure to read and understand our Cancellation Policy and offer of Trip Cancellation Insurance by Travel Guard before placing a deposit. You can purchase the insurance now for immediate coverage and to cover any pre-existing conditions, or you may wait until final payment is due, 60 days before the date of your trip, or decline it all together in which case you agree to pay personally all cancellation fees and medical evacuation costs which in the backcountry can easily reach $10,000. 1Estimated Costs do not include government fees, taxes, rentals, special discounts or other additional charges. If cancellations are made prior to 90 days before the trip, monies will be refunded less a $50.00 service charge per person. If cancellations are made within 90 days and outside of 60 days of the trip date monies will be refunded less a $100.00 service charge per person. Cancellations made within 60 days of the trip date are non refundable. Prior to 60 days to the trip date we will transfer reservations to another trip in the same year with a $25.00 service charge per person. All policies will be enforced and we strongly recommend trip cancellation insurance. Cancellation of a trip is very unlikely, but we reserve the right to cancel any trip due to river or weather conditions or the lack of sufficient reservations. A full refund will be made if such is the case. Medical Evacuation and cancellation insurance on a vacation plan can be obtained from numerous insurance companies. You should be aware that medical evacuations in the backcountry can easily cost $10,000 and up. You are responsible for these potential expenses and we strongly encourage all guests to have this coverage. We offer plans by TRAVEL GUARD that cover evacuation, baggage and cancellation claims. It is available to American and Canadian citizens, as well as citizens of another country as long as you have a U.S. address. For a quote or questions give us a call or include Your Names, Birth Dates in an Email and we will send a quote. Also, if you are bringing expensive cameras, binoculars, or other items we suggest you have insurance coverage for them (commonly available through Homeowners Policies). In the event of a loss, our insurance will not cover those items.